Politicians are human beings, not Gods or robots, so expecting perfection out of them is ridiculous and absurd. So is thinking that women should be held to different standards of public conduct, or getting upset when a woman in office behaves as poorly as a man when it comes to personal morality? The only thing that should ever be at issue regarding any executive from President to Mayor is their effectiveness in office, their leadership and track record in regards to keeping campaign promises. On all of these points, Mayor Megan Barry has been an enormous disappointment, in particular to the Black community she would not have been mayor had a black candidate knowing he could not win, but could pull away enough votes from another popular candidate to make her the first woman to hold that position in Nashville history. She owes the Black community for that victory yet she turned her back immediately on our community. But instead, she has all too often NOT been seen, at least until recently, when she decided that being photographed at Black churches would provide her some cover. We (The Tennessee Tribune and many others) have been waiting patiently to see specific policies and direct action taken to ensure that this community was being included in the growth and construction boom happening in other areas, and not just more apartments and buildings but measures that ensured Blacks were getting access to contracts and being represented on construction crews. Folks were stunned when she called for the end of in-patient services and essentially the demise of General Hospital as a functioning institution without even initially discussing it with key leaders or community activists, or people whose health and futures are directly linked to the hospital. She would not have disrespected St. Thomas or Baptist Hospital in that manner. The Black community feels she treats Blacks like Trump treats Blacks. She also opposes any type of citizens advisory board for the police department, something so commonplace that even Knoxville (Knoxville!) has had one in place for years. “This current plan for transit excludes the African-American community in a blatantly disrespectful way. To begin, 90 percent of the 9 billion dollars raised via a high sales tax and small business tax will go into light rail that focuses on downtown. There aren’t any rail lines between say, Bordeaux and Trinity Lane. The only thing there are bus routes that are already in place. So imagine if you are an elderly person and you want to go somewhere and not drive on a rainy day. You’ll be standing on a bus stop, catching any number of buses to find your way to one of the downtown rail lines that run through the gentrified upscale neighborhoods, and then you have to exit the train, walk to an available bus route, and hope to find your way back home—and all the while, you’re now paying 10.25% sales tax on all your groceries, clothing, and services. It’s downright criminal.” We are appalled at those young Black men selling this program knowing Blacks will pay but whites will benefit. It is criminal to sell out the Black community to benefit the white community who has all the jobs and every benefit this city can afford. We will let others in mainstream media serve as self-appointed guardians of public morality and wag puritanical fingers at Mayor Barry’s conduct. Our concerns are far more basic. They include a lack of Black representation in too many key areas of city government, and in particular almost no Black male presence at a time when young boys need to see successful Black men in action. The Mayor creates jobs for friends, why not create jobs for African American men who supervise employees and are not stuck in the historical “basement.” The response to the Clemmons shooting specifically, and the call for a citizens review board in general, along with the General Hospital fiasco, were just signs of how little attention the Mayor paid or pays to key issues affecting Blacks on a daily basis. Her appearance at Black churches only days after becoming a soap opera figure in the press looked bad, and while those ministers who welcomed her onto their pulpits and into their churches may well have had good intentions, the whole thing seemed more like PR theatrics than anything else. Nashville needs a Mayor who not only offers flowery rhetoric on demand, but delivers tangible results to ALL communities. Even before this conduct surfaced, Mayor Barry’s effectiveness was at best questionable. As far as the things that have most directly affected our readership and community, she has been mostly either ineffective or missing in action. Let us be clear. The Tribune is NOT aligning itself with any coalition led by Trump supporters, and anyone who does that and still claims they care about the things that impact Nashville’s Black citizens is at best misguided, and at worse being duped. NO ONE who could support Donald Trump should be considered a friend, ally or supporter of Black anything. 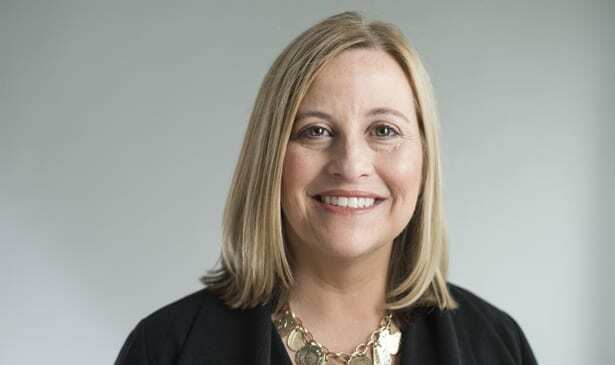 This is a sad day for us as a newspaper because we truly like Megan Barry as a person, and we strongly believed in her although we did not endorse her election. But personality is not how you assess leadership. Actions are what count, and on that score Megan Barry’s track record has been dreadful, even worse for the Black electorate that faithfully backed her. The Tribune feels that the best course for her now would be step down immediately. We wish her well in whatever future endeavors she pursues, but her time in the Mayor’s office should come to a swift and immediate end.